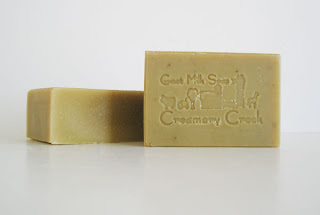 We recently had the chance to review several goat’s milk soaps from Creamery Creek Farms. “We are the Shumway Family. We have a small farm located along the beautiful Wasatch Front in Lindon Utah, 40 miles south of Salt Lake City. We Have been raising registered Nigerian Dwarf Goats for Many years recently adding the Sweet Oberhaslis, we like to refer to them as our baby elks! We have enjoyed making soap for over 10 years. We also have heritage chickens, hotot rabbits, and of course our Dachshunds who think they need to herd the goats, though chase is more like it. We enjoy our beautiful goats, who are well loved and in return provide us with wonderful, sweet, high butter fat milk that makes a creamy high quality soap for you! We have been raising goats for 25 years and making goat milk soap for 12. We love making goat milk soap and are passionate about making the best high quality goat milk soap for our Customers and Family. Our goat milk soap starts with nature, our wonderful goats, fresh green grass, alfalfa, sunshine fresh air and water. Our goats are loved and well taken care of, therefore they provide us the main ingredient to our success, sweet creamy goat milk. We are a small farm located 40 miles south of Salt Lake City, Utah. What we thought: We are loving our goat’s milk soap from Creamery Creek Farms! Each bar we sampled smells divine and they are really pretty too. We have very dry skin so it is super important to me that the soap we use doesn’t dry our skin out even more, especially during winter. 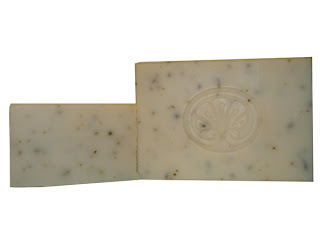 After using our goat’s milk soaps our skin was soft and smooth and moisturized. I loved that several of our bars had natural exfoliants in them…they really left our skin feeling clean. These soaps worked well for everyone in our family, even the kiddos sensitive skin. 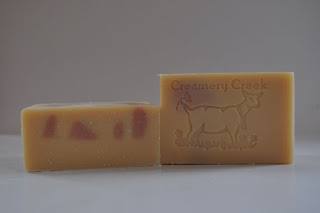 The variety of scents at Creamery Creek Farms is pretty great too…they have a large selection of essential oil soaps and even more fragrance oil soaps. 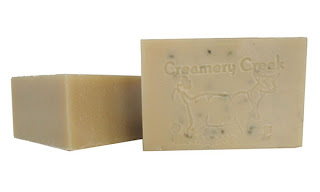 There is really something for every mood:) Our family’s personal favorite was the Green Tea soap…mmmm…heavenly:) ABCD Diaries gives Creamery Creek Farms goat’s milk soap an A+! Buy It: Find these lovely soaps at Creamery Creek Farms!! Disclosure: ABCD Diaries was given several soaps for review purposes only. We were in no other way compensated. The opinions expressed in this post are ours and ours alone.